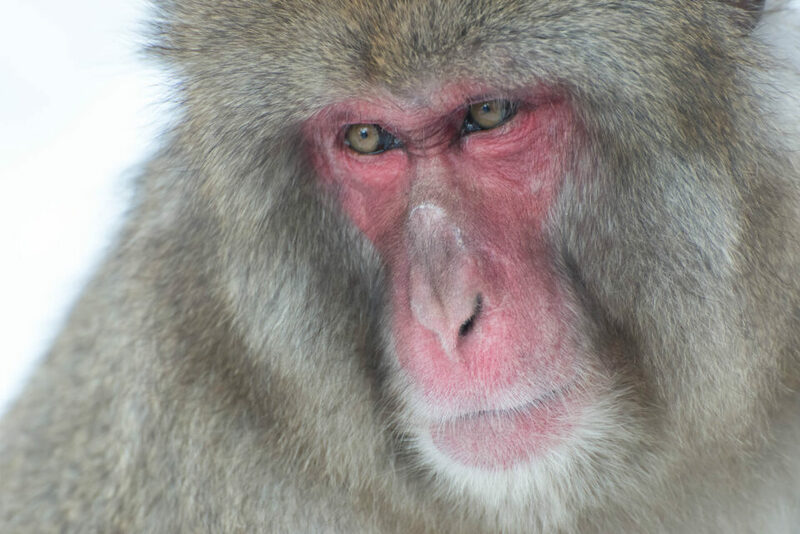 Directions: This area is located about 45 minutes to an hour from Nagano, or about 4 hours from Tokyo. 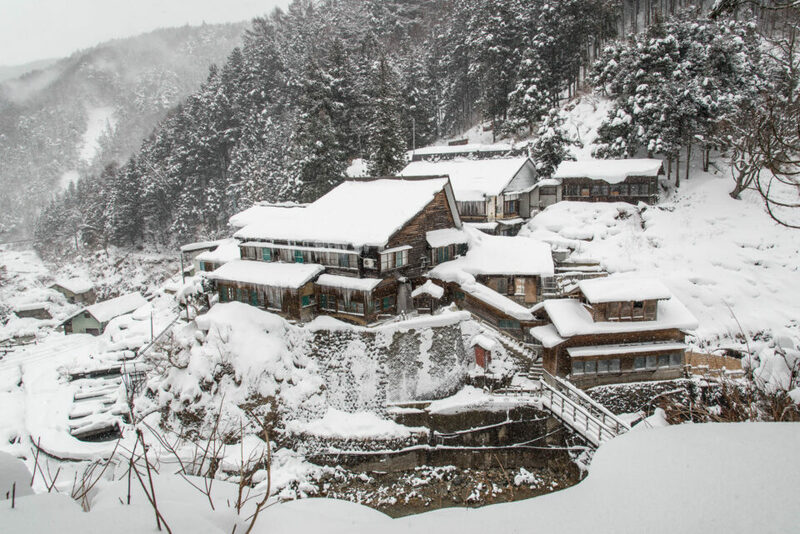 It is easily accessible by car, or you could take a train to the neighboring town of Yamanouchi. There are a number of tour buses that will include a stop here, and the high-end multi-day photography workshops all stop here too. Many of the hotels nearby offer a free shuttle to the trailhead. From the trailhead it's about a one mile, relatively flat walk to the main site, but the trail is often icy or snowy. Entrance to the park itself is 500 yen (about $5), and there is a little shop there with light refreshments. Coordinates listed are for the trailhead. 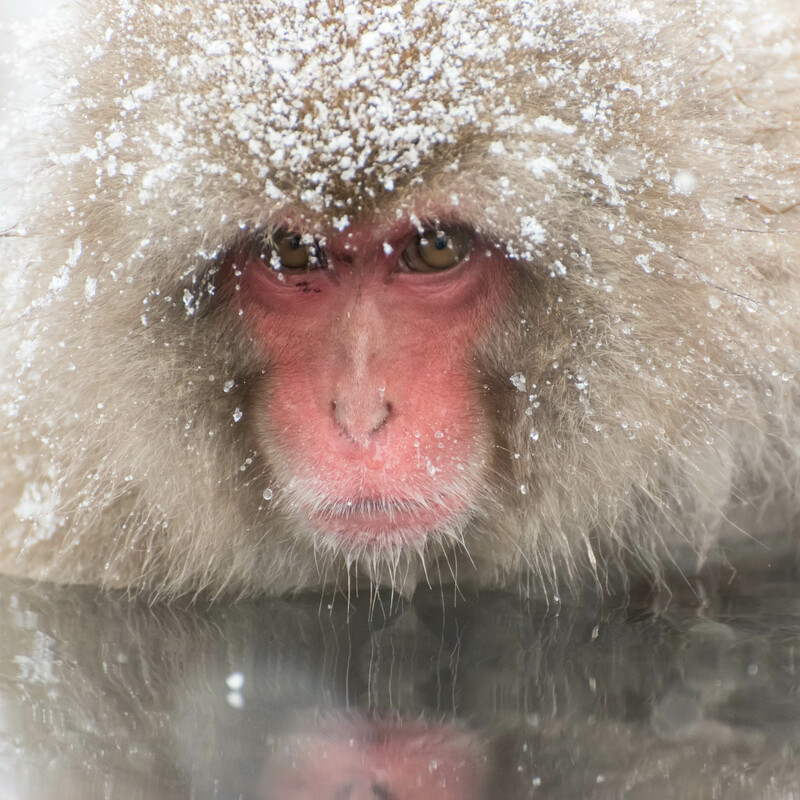 This is a truly unique wildlife photography experience. Where else can you see a troupe of Snow Monkeys hanging out in a hot springs, nestled in a beautiful snowy valley? 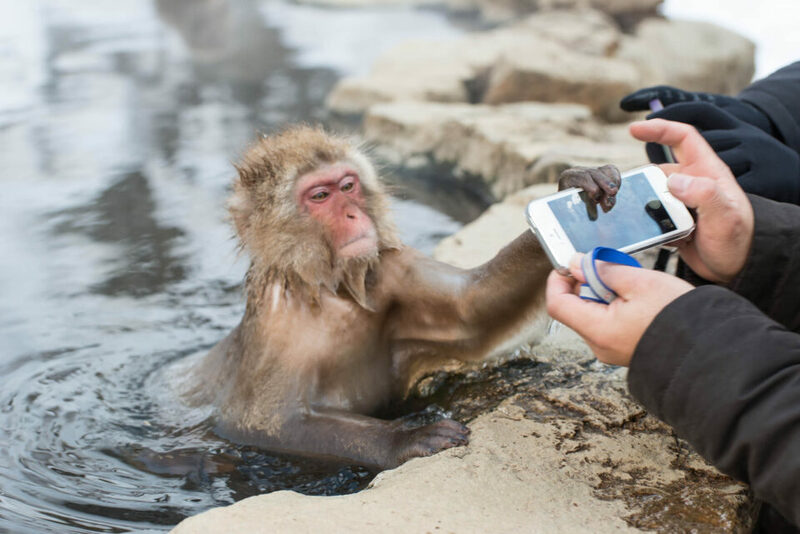 The monkeys are very habituated to people, and you can get as close as want, but do be advised that they have been known to bite, scratch, or steal iPhones. You can visit during any time of the year but winter is by far the best time, preferably during a snowstorm. Of course, this makes getting there a bit more treacherous, and you will definitely need good winter clothing, but the results are worth it. 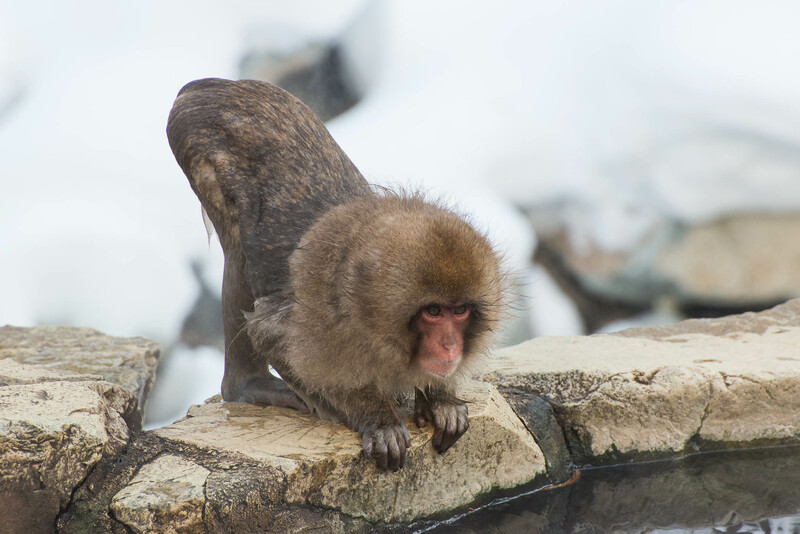 If you visit when it’s warm out, the monkeys will just be playing near the hot springs, but not actually in the water. Mid-morning is probably the best time to visit. The park isn’t open till then, and the monkeys are more active in the morning than later in the day. You will want a longish lens, but don’t feel compelled to bring a monster super-tele with you. You will be able to get really close, so even with a 200mm lens you will have plenty of reach. Of course, there’s nothing stopping you from bringing a big lens other than having to carry it, and you will definitely see some expensive gear on display. I found that my most effective lenses were the 24-120 and the 80-400. I wouldn’t recommend a tripod because you’ll be elbowing about 30 other photographers to get into position, but a small monopod can be helpful. 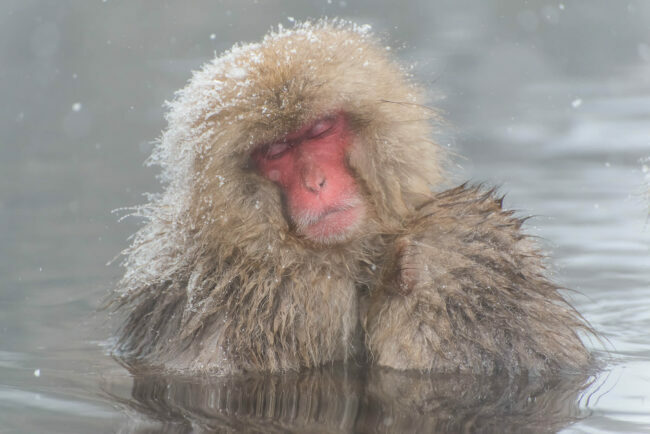 While the monkeys’ hot springs is not suitable for human use, you definitely owe it to yourself to stay in one of the local hotels with an “onsen,” that is, a public hot springs bath. It’s very relaxing especially after a day of standing in the cold freezing your fingertips off. There’s also some very delicious sushi to be had in Yamanouchi town, or if you are staying in Nagano the Olympic Village sites are cool to visit, and the skiing in the area is first rate.